Although the severity and full effect of the drought might not become clear for some time, it may be helpful to examine its potential implications for consumers and the U.S. and global economies. 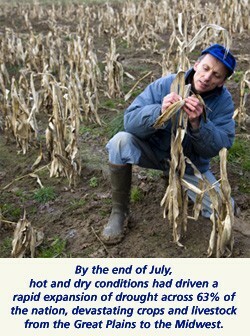 The longer the drought lasts, the greater the potential for serious economic consequences. For now, the wisest course may be to monitor continuing developments and hope for more rain.